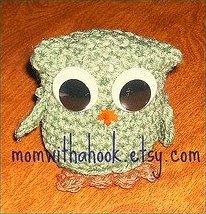 Great for travel or a comfort toy. 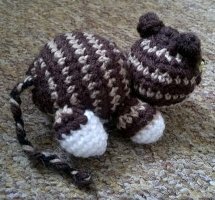 edited 25 feb 2013 - some people have had trouble viewing the pattern using the above link, so here's the direct link to the pattern pdf file. 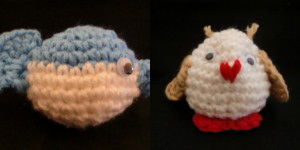 Some extremely cute & simple little alien monster thingies that would be perfect as gifts or decorations. 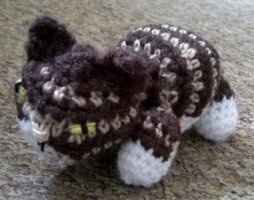 Not the best photo's, but a very simple pattern tutorial to make some basic amigurumi, with detailed explanations. 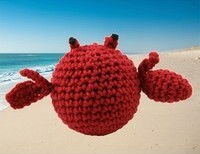 A super-easy crab with a round, ball body. 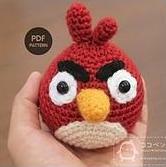 Comes complete with his circus ball. 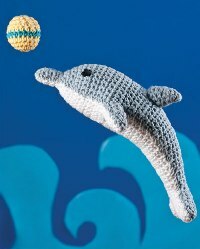 A very neat looking pattern for an amigurumi dolphin and his ball. Measures about 13 inches long. I actually really like this little guy, and I know this isn't a dolphin or a seal, but I decided to add a few whales & other related animals as well! 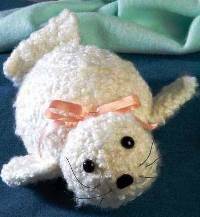 A quite small amigurumi seal crochet pattern. 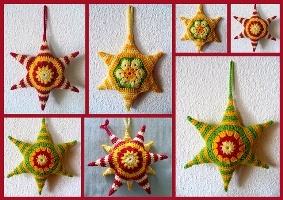 These have got to be the most unusual and original crochet stars I've ever seen. Look at the cream on top! 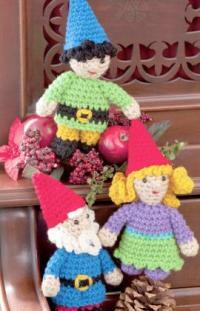 Adorable little gnome people to adorn your Christmas tree, dangle from the ceiling or just be cute on a shelf. Just LOVE the stripes on this little fella! 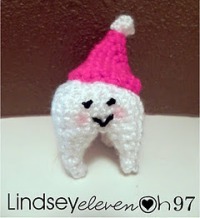 Super cute little tooth wearing a beanie! 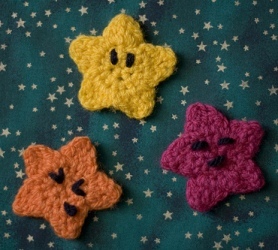 Super-cute little stars from the Mario games. 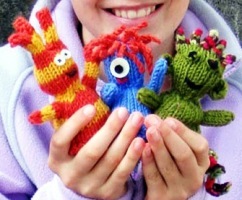 Pin them on as a badge, sew them on your clothes or scatter them on the table at Christmas. I laughed myself silly when I saw this picture. Perfect for anyone who hates Easter, or just loves zombies of all kinds. 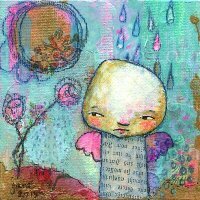 Thank you to Henriette for sending me the link! 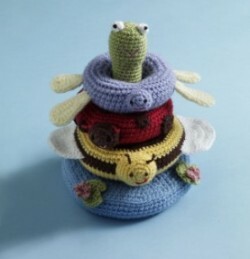 A traditional stacking toy for babies, in amigurumi. 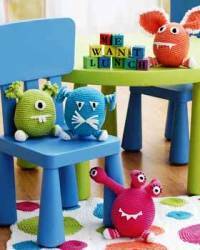 Make sure you use colourfast, quality yarns & stuffing & always watch baby with this toy. 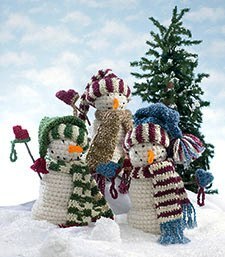 This pattern may require free registration at lionbrand.com, but it won't take long! 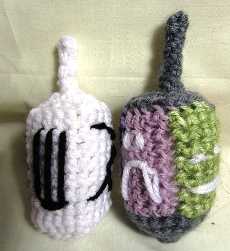 This won't actually work as a dreidel, but it's a cute addition to hanukkah anyway. 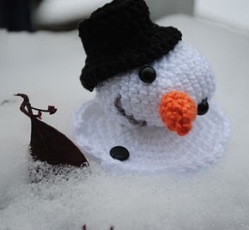 A little snowman who's been out in the sunshine too long! I've never heard of this game, but it looks like fun & the character is very cute! 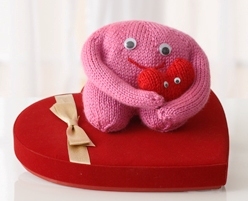 Very cute mushroom, made hollow with a lid to hold your crafting goodies (or chockie stash). 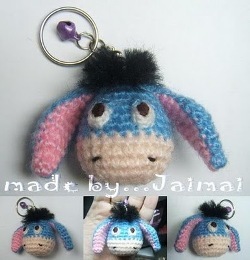 Cute little keyring donkey from Winnie the Pooh! 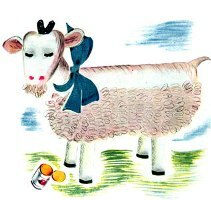 Vintage crochet pattern for an amigurumi goat. 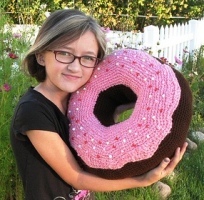 Unfortunately this is the only picture, so we'll just have to hope the finished product is this cute. 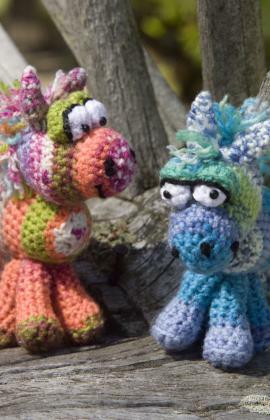 A little unicorn that any little girl will want to receive. 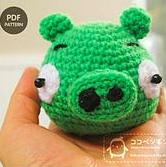 I'd suggest replacing the crochet eyes with safety eyes though, as it would look much neater. Another character I know nothing about, but which seems to be pretty popular... I seriously need to get a life! For anyone else out there who's hopelessly uninformed like me, here's the wikipedia page about the show, and somewhere to watch a few episodes. Very cute and very weird, this is a Jim Henson character from the movie Labyrinth, from Mostly Nerdy Crochet. 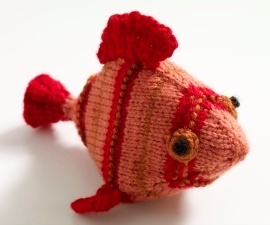 Lots of other great free patterns there too, so make it one of your fave blogs! 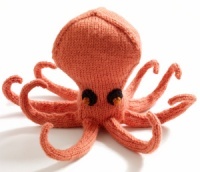 Wonderful knit octopus creation from lionbrand. A very cute family of little ducks to keep your boiled eggs warm! Isn't Alice just adorable? And her little white rabbit! 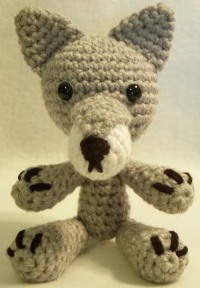 Whip up your very own big bad wolf! Measures approx. 7inches high (5in when sitting). 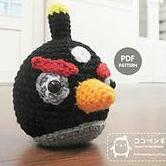 Another character from the Angry Birds game. 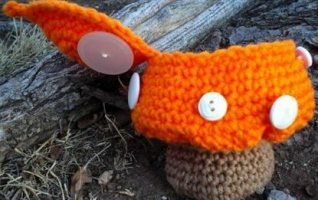 These little creatures are not only cute, they're wonderfully useful! Why? Because they contain removable rice and lavender-filled bags that you can heat in the microwave! 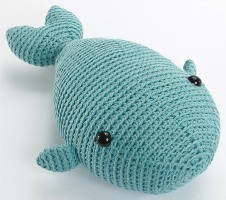 This cushion may be a little large to be counted as traditional amigurumi, but what the heck - it's fantastic! Hope everyone had a great Chrissy & New Years. We had some lovely family time here. This pattern is perfect for anyone who got an iphone as a gift, because this little game is one of the most popular iphone downloads around at the moment. 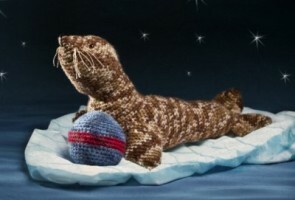 In fact, I can hardly wait to get one so I know what all the fuss is about!